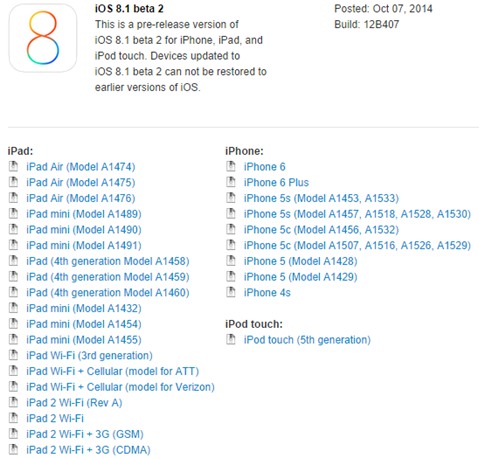 Apple has officially seeded iOS 8.1 Beta 2 (Build: 12B407) Firmware for iPhone 6 Plus, iPhone 6, iPhone 5S, iPhone 5C, iPhone 5, iPhone 4S, iPod Touch 5G, iPad Air 5G, iPad 4G, iPad Mini, iPad Mini 2, iPad 3G, iPad 2G and Apple TV 3G devices to iOS developers and non-developers (general users) for updations / upgradations. You can Download iOS 8.1 Beta 2 IPSW Firmware via Direct Links. 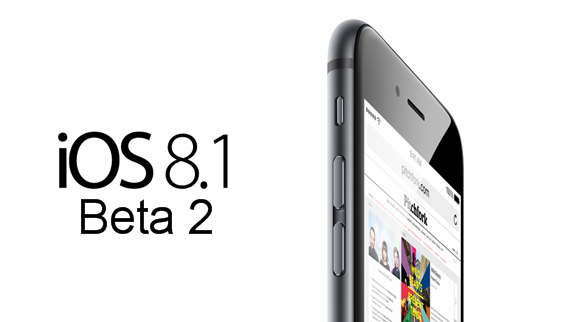 How to Manually Download and Install iOS 8.1 Beta 2 Update? If you're already running an old iOS 8.1 Beta 1 (Build: 12B401) Firmware, then you can update / upgrade to the second beta version via OTA (Over-the-Air) wirelessly by going to; Settings > General > Software Update within settings. 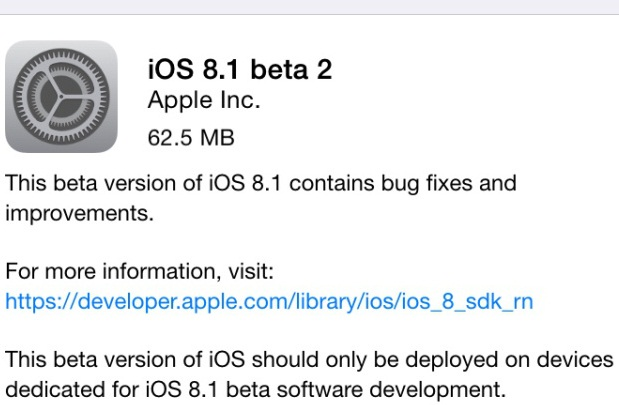 For iOS developers, the standalone installer of iOS 8.1 Beta 2 setup is available at iOS Dev Center website. Whereas iOS non-developers (general public) can manually download, install and activate iOS 8.1 Beta 2 without UDID and Developers account via iTunes. The Direct Download Links of iOS 8.1 Beta 2 Firmware IPSW Files for iPad Air 5G, iPad 4G, iPad Mini, iPad Mini 2, iPad 3G, iPad 2G, iPhone 6 Plus, iPhone 6, iPhone 5S, iPhone 5C, iPhone 5, iPhone 4S, iPod Touch 5G and Apple TV 3G posted below. No iOS 8.1 Beta 2 Jailbreak is available from Pangu or "evad3rs" Evasi0n Jailbreak Tools. Note: Officially Download Apple iOS 8.1 Final Version for iPhone, iPad, iPod Touch and Apple TV HERE.